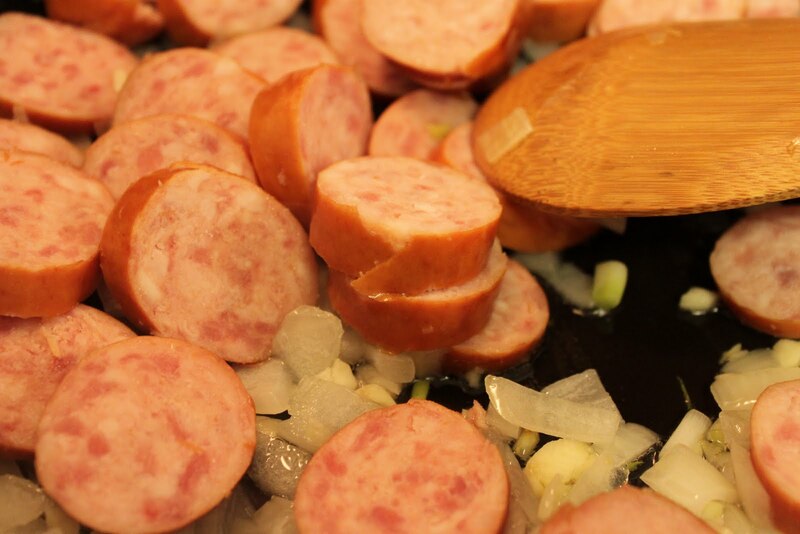 Have I told you how much I love kielbasa? I thought that I may have mentioned it in the past.﻿ I always keep a few in the freezer. And, most of the time, I've purchased them on buy-one-get-one free sales. They are perfect for a quick dinner when your plans have changed and you need to get food on the table quickly. I think this is a perfect meal for the mid-week slump. 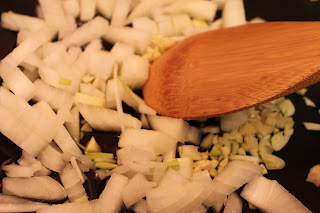 In a large skillet, saute the onion and garlic in one tsp. of olive oil on medium heat for three minutes. 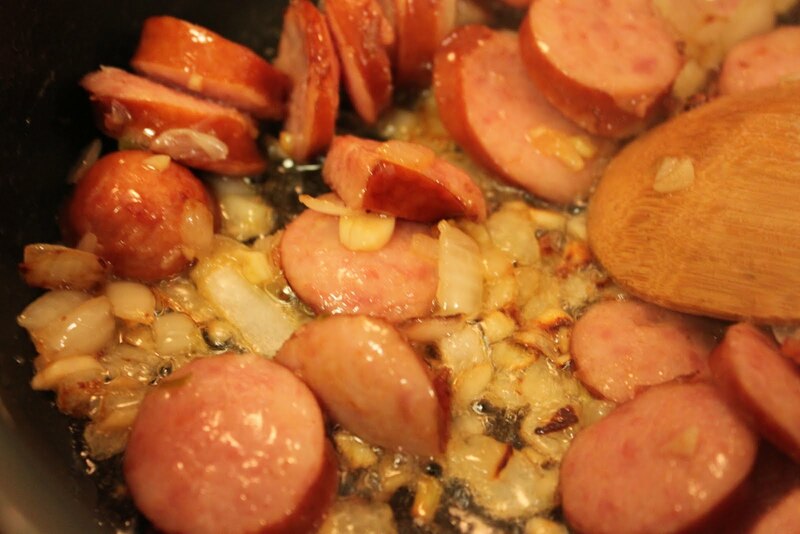 Add sliced kielbasa and saute until heated through and the edges are caramelized, about 10-12 minutes. Add the seasonings and chicken broth. Cook until the broth reduces down a little. Stir in the prepared pasta and stir until well coated. Serve immediately. Start with one chopped onion. My garlic was starting to feel sad and neglected. I had to use it up this week before it bit the dust. I just trimmed off the brown spots. 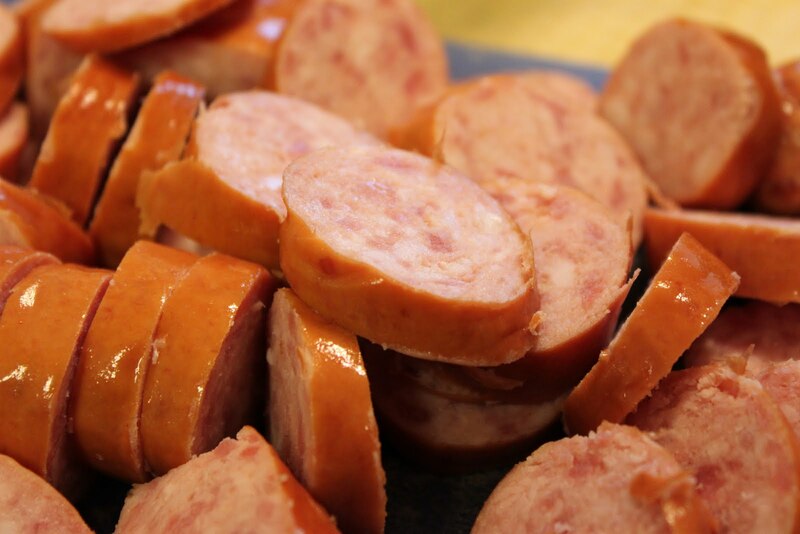 This sausage was frozen when I got started with the meal. It only took two minutes in the defrost mode of the microwave to thaw. Perfect! 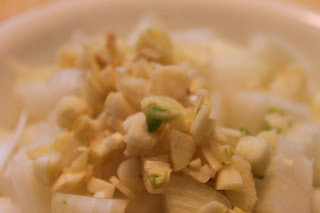 Softening the onions and garlic. I added the sausage and kicked up the heat a little. I love my sausage to get brown edges - yummy! Time for the seasonings and chicken broth. I used a whole box of pasta but you could definitely make do with about 12 oz., especially if you like your dish saucy. 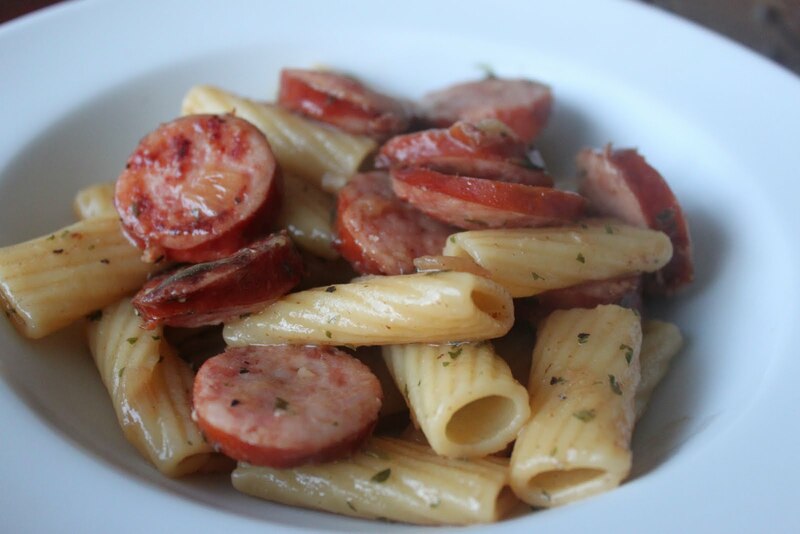 I like to use short pasta for this dish so the pasta and sausage are the same size. Makes it easier to eat. This is rigatoni, I think, but penee, shells, bowties, or twists would be great, too. Howdy from another member of the Southern Plate family! 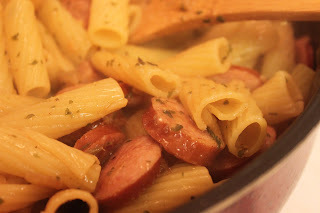 I love kielbasa and pasta and have only made creamy casseroles with them but this looks delicious. Found you through the Gooseberry Patch Link up. Thanks Gooseberry Patch and Micha! It's been a fun blog hop today! This looks like a winner -- bet it would be great with peppers, mushrooms and yummy herbs!! 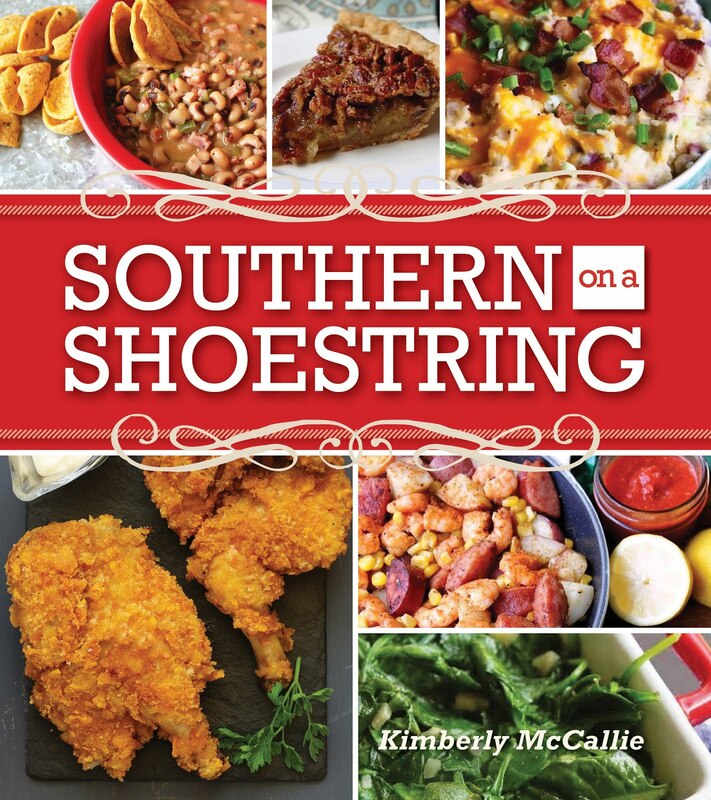 Thanks, Kim, for the great recipe! I made it tonight as I needed something quick and tasty. My family loved it and so did I! 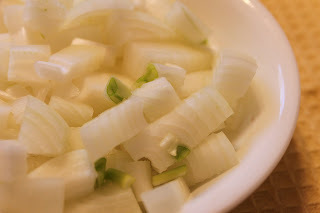 I will be a frequent visitor to your site for more great recipes. Glad you liked it, Denise! Ok...I was searching for Keilbasa recipes BECAUSE I was bored with the same old thing...OMG I am so glad I found this one- such a keeper!!! The only thing I did differently is I used a garlic and pepper seasoning grinder and it really kicked it up a notch!!! My husband and 5 year old daughter could not stop eating this!! The pasta and the base recipe are a staple...the possibilities are endless...you can add chicken, italian sausage, peppers, onions, mushrooms, it is SO GOOD! THANK YOU !!!! So glad you liked it, Cathy!